Shanghai has rapidly emerged as one of the most exciting destinations in China – but it’s taken a while for many of its hotels to cotton on. Until very recently, the hotel landscape was dominated by big-chain behemoths, delivering travellers the same high-end but homogenous experience with little innovation. Now, that’s starting to change, with imaginative, experience-led hospitality concepts making inroads into the culturally rich city. 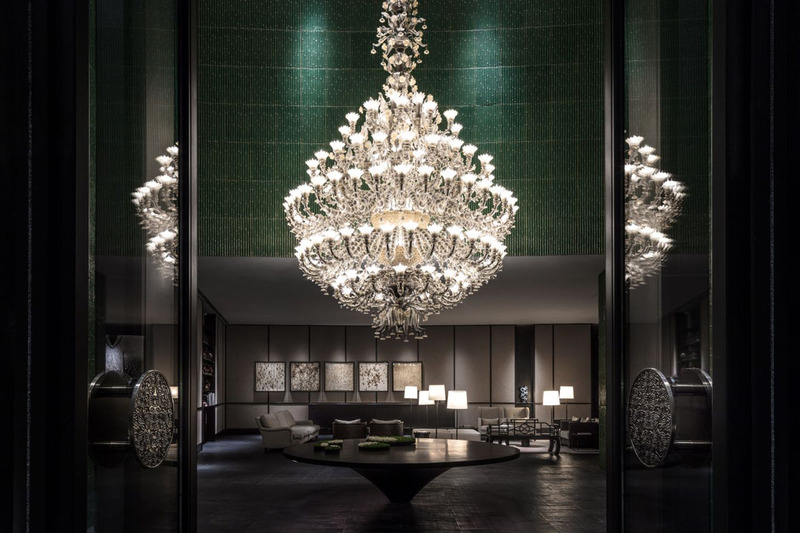 At the vanguard of this evolution is The Middle House – the fourth opening for Swire Hotels’ ‘House Collective’, which has made such an impact in Beijing, Hong Kong and Chengdu with The Opposite House, The Upper House and The Temple House respectively. The hotel taps into China’s growing audience of affluent, entrepreneurial, cultured and creative millennials, as well as international travellers accustomed to the new breed of personalised luxury – sophistication without the starch. Design is of course a big part of its impact – from the sleek gunmetal chic of its Café Gray Deluxe restaurant and bar and the lighter, laid-back ambience of its Italian outlet Frasca, to the contemporary Chinese Restaurant Sui Tang Li – but it’s the creative use of music that sets the mood of each space. We’ve worked with The Middle House to develop signature sounds for every area of the hotel, enhancing the see-and-be-seen vibrance of Café Gray, striking a contrasting retro note in the lobby, and matching the forward-thinking design of spa and 24-hour gym with a highly distinctive, future-focused sound. Shifting in mood and tempo with the ebb and flow of the day, The Middle House’s audio landscape has been crafted alongside its physical design and audience mindset, ensuring that the customer experience was clearly defined from the moment it first opened its doors in April 2018. With the hotel already having had a significant impact on the Shanghai hospitality scene in just six months of launch, the argument for innovation is sounding even stronger.